My mother, my sister, and I have long celebrated "the day before April" as a holiday, a Mills family women's holiday. A few years ago I hosted a "day before April" party, with my mother and my boys (who did think it was a somewhat strange party) as the only guests. I usually gave my mother flowers on that day. It is the day before April today. I'm going to go buy some flowers - daff0dils, probably. Two years ago, when I first wrote this post, I took daffodils to my mother, who was in a rehabilitation center after a fall that broke her hip and arm; she died two months later. Today I'll buy daffodils in memory of her. One of my pleasant spring break tasks is going through the beautifully edited manuscript for my forthcoming novel, No Exceptions, about a seventh-grade student who brings her mother's lunch to school by mistake, a lunch containing a knife to cut her mother's apple, and who now faces expulsion under her school's zero-tolerance policies for possession of drugs or weapons. Margaret had a lot of great queries for me to answer, ones that I'm still wrestling with, but mainly she just cut, cut, cut, cut, cut. I found myself blushing as I saw the passages she had excised: so flabby! so overwritten! so belaboring of the point! so self-consciously clever! so violating the principle of "show, don't tell"! Once, to my shame, she even wrote "Show, don't tell" in the margin by the deleted paragraph. I do a presentation for elementary school kids on this very principle! And yet I still told when I should have showed - or rather, told, when I had already showed. I showed Sierra's principal giving a long self-congratulatory speech to a principal visiting from another middle school, as Sierra needs to talk to him to explain her situation. Then I wrote, "Sierra had to tell him, but she didn't know how to disrupt the flow of his self-congratulatory speech." Margaret: "Does the speech show us this? No need to describe?" And, oh, the needless repetition! I wrote, "Sierra had never kissed a boy. The closest she had come to kissing a boy was imagining kissing Colin." Was that first sentence needed? No, it was not. Did I need TWICE to have someone try to avoid saying something "that could never be unsaid"? The best invention ever made for writers, I am now convinced: the delete key. And today I am using it liberally. I am using it a lot. Did I need BOTH of those last two sentences? No, I did not! Greetings from Missouri, where I'm doing two days of school visits in North Kansas City schools. I'm at Ravenwood Elementary right now. The second graders here just finished reading my picture book Ziggy's Blue Ribbon Day. In that book, athletically challenged Ziggy is dreading track-and-field day. For each event the children are awarded ribbons, with blue ribbons as best, then red, then gold, and then silver - which Ziggy says isn't really silver, but a "dull, dismal gray." Ziggy knows that his day will bring nothing but a slew of silvers. But when Ziggy uses his drawing talent to decorate his ribbon-holding envelope (if it's going to have gray and gloomy contents on the inside, it might as well be bright and cheering on the outside), his classmates start trading him their blue ribbons in exchange for his decorating their envelopes as well. So Ziggy ends up having an unexpected haul of blue ribbons, after all. The second grade spelling on some of these was quite wonderful, too: "vityo games," "backitboll"). Of course, I'm curious about the child whose talent is fixing TVs. I'd like to see the child who dances to rap music. My heart is warmed by the child whose talent is helping people. And my heart is also warmed by educators who encourage all children to recognize and celebrate their talents, whatever they may be. I used to look forward to spring break as a chance to catch up on all the work I had left undone during the hectic pace of the semester. But now I look forward to spring break as a chance to catch up on the life I left behind in Colorado when I departed to go teach in Indiana. So few precious days back in Colorado! So much of my sweet life to connect with again. 1) Go to church TWICE - this coming Sunday and next Sunday, which is Palm Sunday - Hosanna! 3) Meet with a writing mentee to give her comments on her middle-grade novel manuscript, which I read on the plane as I was flying home - lots to talk about! 4) Meet with a doctoral student about the first couple of chapters of his dissertation on a philosophical argument for an open borders immigration policy - lots to talk about! 7) Lunch or dinner with Maureen, Diane, Elizabeth, others! That is my to-do list for the week. I can't wait to start crossing off each blissful item on it. I have been working hard on organizing my trip to China that is coming up in June: I'm one of ten American children's literature scholars invited to take part in an inaugural symposium focused on the theme of "The Image of the Child in Chinese and American Children's Literature." Ten Chinese scholars will also be presenting. All the papers will be translated English-Chinese or Chinese-English. The symposium will be held at Ocean University in Qingdao, China. I've been busy trying to buy my plane ticket, a project which turned out to be surprisingly difficult. I'm flying Indianapolis-Chicago-Beijing-Qingdao. I tried to book the whole thing through United, but couldn't seem to do it. Each time I called United, I would get a recording that announced, "Your wait time to speak to a representative is approximately . . . . twenty minutes." I would wait for twenty minutes, then speak to someone in some distant part of the world who couldn't understand what I was saying, then I'd ask to speak to a supervisor, then I'd find out that there was a problem arranging the Beijing-Qingdao segment of the trip on Air China, so I had to wait twenty-four hours and try again. . . or I had to be on a wait list. . . or I had to call Air China myself. When I finally did call Air China myself, with much trepidation, what a pleasant surprise! My approximate wait time to speak to a representative was no wait time at all. "Brad" spoke better English than the United Airlines folks. I did have to email him a photocopy of my passport, my credit card front and back, and fill out a form to send in. But once I did, the ticket was booked right away. Then I had to start looking for my hotel in Beijing, as I'm going to stay there for a couple of days before heading up to the conference. Once we get to Qingdao, everything will be taken care of for us there. Luckily, one of the other scholars already had her hotel reservation, so I just copied her, after a few failed tries on their website - actually, successful tries, but each time I hadn't realized that I succeeded, so I kept trying again, and so ended up with a slew of reservations I then had to cancel. And it was scary to sign up to pay 1917 RMB for the three nights. I had to go find out what kind of currency an RMB is, and what it is worth in dollars. It turns out that the whole three-night stay in what looks to be a very fancy hotel will be just $340. I still have to get the visa, which also doesn't look easy. I'm going to use a special visa agency based in Chicago. Oh, and then, I still have to write the paper that I'm presenting, which is due on April 1 to allow time for the translation. Mine is on the gendered representation of the child in mid-century American chapter books, particularly Henry Huggins and Ramona by Beverly Cleary. So it's been a big job. But I keep telling myself not to complain. It's going to be a wonderful trip of a lifetime when I get there. And, hey, Marco Polo had a lot of preparations for his trip to China, too. He didn't even get to sit in a comfortable office chair booking his travel on his computer, or by telephone. Put in perspective, approximate wait times of 20 minutes aren't too terrible. Not for me and Marco Polo. The Children's Literature Festival here in Warrensburg is exhilarating, but grueling as well. It is draining to have to be a larger-than-life exuberant personality in front of four large groups of children four times a day, saying the same thing over and over again as if inventing it on the spot through sudden inspiration. It's emotionally intense to see so many dear friends and share a year's worth of accumulated stories with each one. So this is why I keep leaving things everywhere. I went to turn off my cell phone this morning before my first session and realized that I had left it in the motel room, in its charger, after having packed up everything to check out. That wasn't too hard to deal with. One of the festival's wonderful helpers drove back to the motel to get it. Scarier was what almost happened to Charlie. Charlie is the tiny duck friend of one of the Warrensburg authors; actually, Charlie began life as a padded, furry, elongated-duck-shaped bookmark sold by Barnes & Noble, but he became Pat's beloved friend and a Warrensburg mascot. One year Pat forgot to bring Charlie to the festival. Luckily, we have illustrators here as well as authors, so talented R. W. Alley drew Pat a new Charlie, which she managed to stuff with some cotton, so we had faux Charlie to keep us company. Well, this year I was feeling a bit melancholy the first night here for no good reason, so Pat loaned me Charlie. He spent the night and next day with me. When I went to return Charlie to Pat last night, she suggested that Charlie would enjoy coming to our author party in the motel's meeeting room, and indeed, Charlie did seem to welcome the festivities. I was tired, so slipped away early to bed. This morning I saw Pat over at the festival. "Where's Charlie?" she asked. "I thought YOU had him!" I almost shrieked. She, too, had left the party early. She too had left Charlie behind. Frantically, I called the motel. What if - what if - could it be that Charlie had been - no, surely, he wouldn't have been THROWN AWAY? All right, time for the happy ending: the motel staff hurried up to the meeting room ("It's urgent!" I told them). Charlie has been found. He is safe at the motel registration desk, ready to be reunited with Pat later today. I plan to get a VERY good sleep tonight, when I'm back home in Indiana. No more forgetting cell phones! No more forgetting little duck friends! I'm here in Warrensburg, Missouri, for the 44th Children's Literature Festival sponsored by the University of Central Missouri. This is my fifteenth or sixteenth time attending. This year thirty-four authors are in attendance, about half of them local to Missouri and surrounding areas, about half flown in from around the country; four thousand schoolkids are signed up to come to the university campus today and tomorrow, accompanied by a thousand supervising adults. I love when things stay the same, but this year some things are different. A few of the best-loved authors who have been coming the longest are not here this year, for reasons of health - their own ill health, or the health of their families. In the past year, two cherished festival authors have passed away. People all sound a bit more discouraged this year about the state of the publishing world and the state of the larger economy. It's harder for even veteran authors to get contracts. Books go out of print at faster and faster rates. Slashed school budgets mean less money to fund author visits; high stakes testing means less time for curricular "extras" like having a visiting author come to town. But the spring here in Warrensburg has never been prettier: magnolia, cherry, crabapple, red bud all in bloom. The cows were truly excellent! I'm SO ready for a new pair of shoes! I love these authors and this festival so much. The publishing world may be scary right now, but Warrensburg isn't. It's a sweet, dear, familiar, beautiful, affirming place to be. If I had made a list at age twenty of things I never thought I'd do in my life, one of them would have been: watch my firstborn son graduate from U.S. Army Basic Combat Training. In fact, that was so out of the realm of my possibility that it wouldn't even have made it onto my list of impossibles. As philosopher Bernard Williams has written, before you can even think of something as "unthinkable" you first have to think it. So it really isn't unthinkable. Truly unthinkable things are the things you don't even think of. I never thought I'd have children. I never thought I'd have boys. I never thought one of them would join the Army. And so I was surprised to find myself on Thursday at Fort Jackson, South Carolina, watching Christopher graduate from U.S. Army Basic Combat Training, surrounded in the stands by many families with a long tradition of military service. Foxtrot Company marched out onto Hilton Parade Grounds. My son was was there with them. Christopher, I'm so proud of you for deciding that this is what you want to do with your life right now, and taking steps all on your own to do it. You didn't even tell me you were thinking about this until it was well under way, thinking I might oppose your choice, but I didn't. I was as proud of you on Thursday as I've ever been. I'm also relieved that you're not signed up right now for active duty, but I know that the reserves can be called up at any time, and often are. And if that happens, well, then, we'll just have to pray. Thursday was an altogether amazing day for me: watching the graduation, touring the base with my tall handsome soldier, and then driving into downtown Columbia to wander around the Riverbend Zoo and Botanic Gardens, and the state Capitol dome, and the University of South Carolina campus. I can't tell you how many people stopped Christopher, who was wearing his camouflage uniform, to thank him for serving his country. I just stood there and beamed. I'm still beaming now as I type this. This is the eleventh year of the Franklin County Children's Literature Festival. I was one of the authors at the first-ever festival, and now I'm back at the festival again. Last night was the opening banquet to thank the amazing number of local donors who help to fund the event, including, I must say, Walmart (to the tune of a generous $5000). It was also a tribute to the festival's founder, Gerry Getty, a teacher with a big dream who had so much faith in her dream that "you couldn't say no to Gerry." She lived to see the festival blossom and take root, but died a few years ago. The festival every year is dedicated to her. Co-organizer Vickie Hall, who gave the tribute to Gerry last night, reminded the audience of "the power of one." One person. One idea. One example of exceptional persistence. Today I'll speak to four groups made up of students from all over Franklin County - a thousand students attending the festival, in all. Each author speaks to four groups of children, grades three through five. Each child gets to hear four different authors: different genres, different approaches, different stories. This successful structure was inspired by the format of the mother-of-all-children's-literature-festivals that I'll be attending next week in Warrensburg, Missouri. Now it's blooming big time here in Franklin County, Kansas. Thanks for making this happen, Gerry Getty. This is the time of year when I do a lot of traveling for work. I always go to the Association for Practical and Professional Ethics conference, usually held in Cincinnati (where I went earlier this month): my favorite philosophy conference of the year. I always go to the Children's Literature Festival sponsored by the University of Central Missouri in Warrensburg (where I'll go next week): my favorite author event of the year. This year I'm also going to the Franklin County Children's Literature Festival (in Kansas); this is a spinoff festival from the Warrensburg one that in the past was held on the Wednesday following the Monday-Tuesday of Warrensburg, but this year it's the week before, which means two flights in and out of Kansas City. 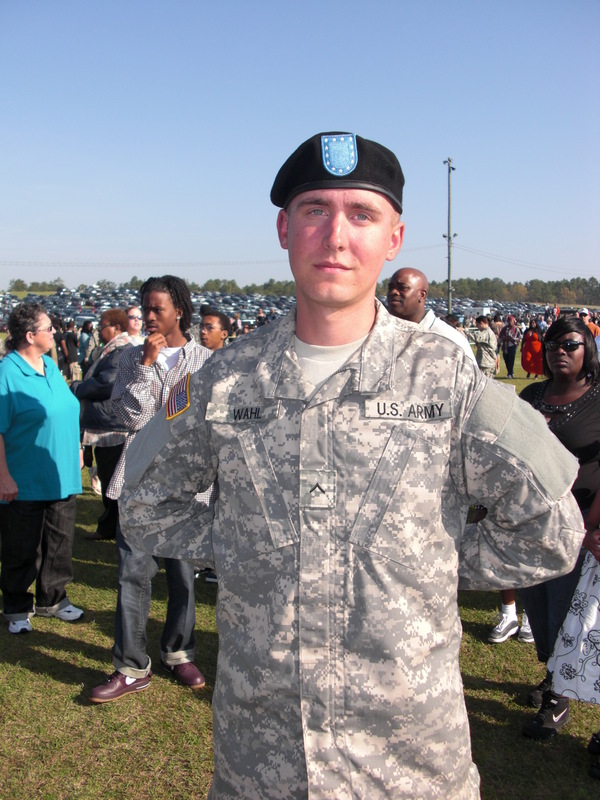 I'm also going to have the proud moment of attending my son Christopher's graduation from Basic Training for the U.S. Army Reserves, in Fort Jackson, South Carolina - this Thursday! Then, after all of these other trips, I'll be flying home to Colorado for spring break, and while I'm on spring break I'll fly back to Kansas City for two days of school visits there (necessitating a third flight to Kansas City): once you start attending the Warrensburg festival, you can become quite popular in the Kansas City school district. This means I have FIVE flights this month, and I would have had six if Cincinnati hadn't been within driving distance of my home this year. So today I'm trying to get done every single thing I need to do in my life for a while. I've figured out a couple of creative and cool things to do with my classes (and I'm not missing as many as I had feared because of careful planning); I have to take care of all those pesky little Loathsome Tasks on which I've been procrastinating; I have to get my life in ORDER! And then I have to relax and have fun. Stressed as I feel at the thought of all this travel, I have to remember that, hey, I love doing this. I love flying. I love packing my backpack full of books to read on the plane. I love talking to kids about my books. I love meeting other authors. I'll get to see Christopher, whom I haven't seen since New Year's Day. Even as I'm already teary-eyed with the thought of missing out on sweet Greencastle pleasures (oh, Blue Door Cafe! ), I'm humming Willie Nelson: "On the road again. . . . Can't wait to get on the road again. . . . "
Today is my least favorite day of the year: the day when we change the clocks to "spring ahead," meaning that we lose an hour, an hour that will not be restored to us until we change the clocks again in the fall. I have long hated Daylight Savings Time because I prefer my daylight in the morning to the evening. But I hate it even more now that I live in Indiana, which for some unaccountable reason is in the Eastern time zone when by all rights it should be in Central time. It is so dark here in the mornings! In fact, I just checked on the time for the sunrise today in Greencastle, and it was 8:04, eight minutes ago. How can there be a place where the sun doesn't rise until EIGHT O'CLOCK in the morning? I know this shouldn't matter to someone who claims to get up every day at five, when it's dark outside, anyway. But true confession: it's been some time since I've gotten up at five. And somehow it's just harder to get up when even the promise of daylight is so far away. I write this post not just to complain about Daylight Savings Time, however, but because the title of my blog is "An Hour a Day." If ever it was brought home to me how important an hour can be, it's on this day once a year when I'm cheated out of one. I will be sluggish and cranky all week, missing my hour, which now, in fond imagination, I would have spent writing the first page of a new novel, or writing a poem, or reading a book to remember forever, or walking in the DePauw University Nature Park, or snuggling under my covers for another sweet stretch of sleep. Oh, hour gone, I miss you! May I cherish all your brothers and sisters, and never take a single one for granted. I have been out every night this past week: dinner up at the Prindle with journalist Keith Woods of American Public Media, lecture by Harvard professor Lawrence Buell who writes on "eco-criticism" (the study of literature and the environment), picking up philosopher Cheshire Calhoun at the airport for her two-day visit to DePauw, the final meeting of the Cheshire Calhoun reading group. So last night I bought myself an early dinner at the Dairy Castle: a small hot fudge sundae with their wonderful black raspberry ice cream, my all-time favorite flavor. Then I went home at seven, put on my nightgown, and got into bed with my Kindle. I bought a Kindle last year but have used it very little, even though I like so much about it: how small and lightweight it is; how easy it is to "turn the pages"; and best of all, the instant gratification of dreaming up a book you want to read one minute and having it delivered to "Claudia's Kindle" the next. But I just sort of forget that I have it. This week I remembered my Kindle when I saw a piece in the New York Times about the new Kindle Singles: nonfiction pieces by top-notch authors designed to be read in a single sitting. The Times article recommended one in particular: The Heart of Haiku, by Jane Hirshfield. I went to the Kindle website and bought it for ninety-nine cents. And then I spent the evening reading it. Hirshfield used this haiku to explain the concept of sabi, a kind of loneliness or solitude: "It holds the feeling of whatever is chill, withered, and pared down to the leanness of existence. . . .To feel sabi is to feel keenly one's own sharp and particular existence amid its own impermanence, and to value the singular moment. . . ."
So last night, with no other company but Ruby my plush jackrabbit puppet, I lay in bed and read haiku and felt keenly my own sharp and particular existence, and valued each singular moment of a sweet evening spent reading, all for ninety-nine cents. As part of my project this year of living a more richly creative life, with the ultimate goal of writing a book that will surprise me, I'm paying attention to discussions in the media about how to enhance creativity. So I was struck by an article from a recent Sunday New York Times: "When Truisms Are True." In this piece, the authors report on their research into "embodied cognition." They argue that when people literally act out various metaphors for creative thinking with their BODIES, their MINDS come up with a greater and wider array of solutions to creative tasks posed. Research subjects situated inside a boxed structure came up with fewer creative solutions than did research subjects positioned "outside the box." Research subjects set to solve a problem while walking on a prescribed path approached the task less creatively than those allowed to walk at will while thinking. The authors summarize their findings: "The differences were striking: students who walked freely were better at generating creative uses for the objects — coming up with over 25 percent more original ideas. Such creativity was assessed in terms of fluency (the number of ideas generated), flexibility (the number of unique categories that described the generated ideas) and originality (as judged by independent raters)." So THIS is why it was a good thing indeed that I got off the beaten path this past weekend and drove a hundred and fifty miles without a map. And now, on my next walk around Greencastle, I'm not going to retrace my usual route; I'll just walk hither and thither willy-nilly. It's outside the box for me! I've been working with my wonderful creativity consultant, poet Molly Fisk, for a few sessions now. After decades of writing my books as the "good girl" who follows all the children's book writing rules, I want to see if I can walk on the wilder side - not so much BREAK rules, but not even THINK about them. You may remember that my goal for the writing year is to write "a book that surprises me." Molly suggested the following exercise. Block off a free weekend. Take $200. Get in your car. Start driving. See where you go. Don't look at a map. Don't have a destination in mind. Let the open road beckon. Follow where it sends you. Isn't that the most wonderful assignment EVER? The problem is that while I have the $200, I don't have the free weekend. But, driving home from Cincinnati on Saturday from the Association for Practical and Professional Ethics conference, I did have a free day. So I turned off the interstate as soon as I crossed the state line from Ohio back into Indiana. And I did peek at the map - I had to. But then I did just drive west, and north, knowing that was the general direction in which home lay. I didn't have my camera with me, alas - this is the downside of spontaneity. But the upside was stopping in the little town of Mematora, IN, site of a historic canal dating from 1838. Almost all the little shops were closed for the season. But the one that was open - oh, my!!! Grannie's Cookie Jars & Ice Cream Parlor has in it 2500 (!) cookie jars of all descriptions, meticulously sorted into a dazzling array of categories: dogs, cats, bears, cows, pigs, geese, chickens, little houses, little teashops, teapots - cookie jars shaped like purses, like thimbles, like toasters with toast popping out, like cookies. The one I bought is shaped like a teapot. I almost bought one shaped like a little duck to be friends with the one I already bought back in January at the Kokomo Treasure Mart, which is shaped like a goose. So if I end up writing a book in which cookie jars figure prominently, well, I certainly didn't expect THAT. So THAT would be a book that would surprise me! Greetings from Cincinnati, where I am attending the 21st annual conference of the Association for Practical and Professional Ethics (APPE). In those twenty-one years, I have missed exactly twice: the first one (when I didn't know about it yet), and one that conflicted with the Children's Literature Festival sponsored by the University of Central Missouri that I also attend every year, so I had to make a painful choice. The APPE conference is often held in Cincinnati, at the wonderful Netherland Plaza Hilton Hotel, an art deco structure on the National Register of Historic Places, designed by the same architect who designed Rockefeller Center. As soon as I walked in the door yesterday I was happy. Some things are different this year, and some are the same. Different: for the first time, I drove here, as it's just a two-and-a-half hour drive to Cincinnati from Greencastle, Indiana. To pass the time in the car, I started listening to the twenty-CD audio book set I have of Crime and Punishment that I originally bought to listen to on the drive from Colorado to Indiana last summer. I subsequently decided that it might be too grim and heavy a choice for my mood at the time, so I replaced it at the last minute with The Paris Wife, a novelization of Hemingway's first marriage, to Hadley Richardson, during his Paris years. But as I needed something for the trip this time, I dragged out Dostoyevsky. Oh, my goodness! What a book to listen to as one drives! It's so brilliant and mesmerizing, but also SO intense. There I was, heading into rush hour Cincinnati traffic, trying to look out for the left-hand exit for DOWNTOWN - FIFTH STREET and to avoid ending up in Kentucky, as I'm listening to the horrific scene of Raskolnikov's dream of the savage fatal beating of a poor, broken-down workhorse. I'm lucky I made it to the hotel at all. Also different: This time I arrived in time to see the semi-final round of the national championship for the intercollegiate Ethics Bowl, where our DePauw team had placed in the FINAL FOUR out of the thirty-two teams competing that day. So what a proud moment that was for me, and for all of us. The same as always: Every single year I've attended a session on some fresh, new ethical issue I have never thought about for even a second during my twenty year career. This year it was a fascinating session on the ethics of designing robots for interactions with children. What a spirited discussion we had on the question of whether robots should or should not be presented as having a gender! Yes: this might enhance children's bonding with the robot and increase the authority of the robot as the robot gives caregiving guidance to a child. No: this might perpetuate gender stereotypes. I was inclined to the latter view, but then I started to think that maybe a supposedly ungendered robot would nonetheless seem to be gendered as male, male being the "default gender" in many cases. Most of my ungendered teddy bears somehow seemed to me to be boy bears. Were yours? Finally, the same as always: pomegranate martinis in the gorgeous Tiffany hotel bar. Yes! I've blogged before with worries about my weight. All that Blue Door Cafe French toast! All that free food at Prindle Institute events! One of my blog readers, fellow author Brenda Ferber, wisely recommended that I try the approach of "taking emotion out of the equation": banish guilt, banish ought's, eat when you're hungry, stop when you're full. I tried that for two days, but then couldn't sustain it, even as I know it has to be the only long-term solution that there is. To channel Anne Lamott, I am not remotely sane enough to do that. Then a dear DePauw friend recommended My Fitness Pal, a free online tool that allows you to track everything that you eat every day. You record what you eat and how much you exercise; it does the math to tell you how many calories you have left for the day. It's enormously simple. Best of all, at the end of every day, when you sign off, it tells you, "If every day was like this, at the end of five weeks you would weigh x." Sometimes x is a smaller number than what you weigh now. Sometimes it is a bigger number. But either way, it just feels so GUARANTEED: if this is what you do, this is what you'll get. After all, My Fitness Pal said so! When I have commenced a new book, I have always prepared a diary, divided into weeks, and carried it on for the period which I have allowed myself for the completion of the work. In this I have entered, day by day, the number of pages I have written, so that if at any time I have slipped into idleness for a day or two, the record of that idleness has been there, staring me in the face, and demanding of me increased labour, so that the deficiency might be supplied. According to the circumstances of the time,--whether my other business might be then heavy or light, or whether the book which I was writing was or was not wanted with speed,--I have allotted myself so many pages a week. The average number has been about 40. It has been placed as low as 20, and has risen to 112. And as a page is an ambiguous term, my page has been made to contain 250 words; and as words, if not watched, will have a tendency to straggle, I have had every word counted as I went. On my version of My Writing Pal, at the end of each entry it would say, "If every day was like today, at the end of five weeks you would have written x pages." Now, this means that if the number for today was zero, then at the end of five weeks, if every day was like today, that's precisely what you'd have to show for yourself: zero. But, oh, if every day had even just one page, think what you would have in five weeks: thirty-five pages. In ten weeks: seventy. In fifty-two weeks: three-hundred fifty. And at the end of a lifetime of writing, so many many books.